Humans first discovered how to make beer around 7000 years ago and brewing has been an integral part of human civilisations ever since. Yeasts are a family of single celled fungi that can use the sugars in fruits and seeds as a source of energy for respiration. Yeast can respire both aerobically and anaerobically and you should know the equations for these two processes. So when yeasts respire anaerobically they produce ethanol and carbon dioxide as the waste products. Ethanol is also known as alcohol and humans learned a long time ago that alcohol is a drug that changes the way you think or feel, often in a pleasurable way in moderate doses. Making drinks that were alcoholic also helped to kill potentially harmful bacteria and other pathogens in pre-industrial times when drinking water was not readily available. If you add yeast to a source of sugar in anaerobic conditions, the yeast cells will ferment the sugars into alcohol and carbon dioxide. In order to make beer, the source of sugar comes from germinating barley seeds. Hops (dried flowers of a hedgerow plant) are added later to give the bitter flavour beer drinkers seem to like….. The flow diagram above shows the stages in making beer. I can’t imagine you would be expected to know the details. Any question on this topic would presumably focus on the anaerobic respiration of the yeast rather than the details of the brewing process. In case anyone is interested, I am not a huge fan of beer although I can occasionally be forced by peer pressure into consuming one or two. My preferred fermentation reactions happen not in the copper tuns of English breweries but in the beautiful Northern Rhone valley in France, where skilled wine-makers can take Syrah grapes grown under the influence of the cooling mistral wind and turn them into beautiful Cote Rotie or Hermitage. Now there’s a happy thought for a cold November evening……..
Not all organisms Move from place to place of course and lots of things move that are not alive. So that doesn’t make me think that this is a good way to start the whole study of Biology. It is true that all living things, without exception, Respire. “Respiration is a series of chemical reactions that happens inside cells in which food molecules are oxidised to release energy for the cell” – good definition that…. Sensitivity means the ability to detect and respond to changes in the environment. Mammals do this through their nervous and hormonal systems, plants through plant growth substances such as auxin. Growth either involves a cell getting larger or in multicellular organisms, the two processes of cell division and cell specialisation. All living things have the potential to Reproduce, to create new individuals of their species. Excretion is the removal of waste molecules (e.g. carbon dioxide, urea) that have been made inside cells. Nutrition means either obtaining food molecules by eating another organism or if you are a plant, and I guess none of you are, by making your own food molecules through photosynthesis. The people who wrote the specification have added “they control their internal conditions” to the list. This is actually a better characteristic of life than many above as it is a universal feature of all life. The term for this process is Homeostasis – the ability to regulate and control the internal environment. It is a shame that two of the best ways to decide whether something is alive have been left off the list. All living things on earth are made of cells. Some organisms are unicellular (Paramecium for example) but many are made of many cells. And all living organisms have the molecule DNA as their genetic material. If you get a question on this in the exam, it’s probably better to talk about the 8 characteristics of life the examiner likes… That’s exams for you! Yeast is a single celled fungus that can respire aerobically when oxygen is available and anaerobically in the absence of oxygen. Both forms of respiration produce carbon dioxide as a waste product so how could this be demonstrated experimentally? This is the simplest set up that could demonstrate this. Lime water will go cloudy in the presence of carbon dioxide. 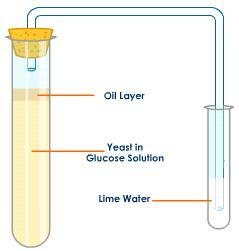 Glucose solution is needed to provide the reactant sugar for the yeast to respire. The oil layer on the top is to prevent the diffusion of oxygen from the air into the Yeast in Glucose solution, this ensuring anaerobic respiration will occur. What experimental factors could be altered in this set up? Well assuming you keep the volume and concentration of lime water constant, the time taken for the limewater to go cloudy could be measured under differing conditions: the faster the time, the faster the rate of respiration. 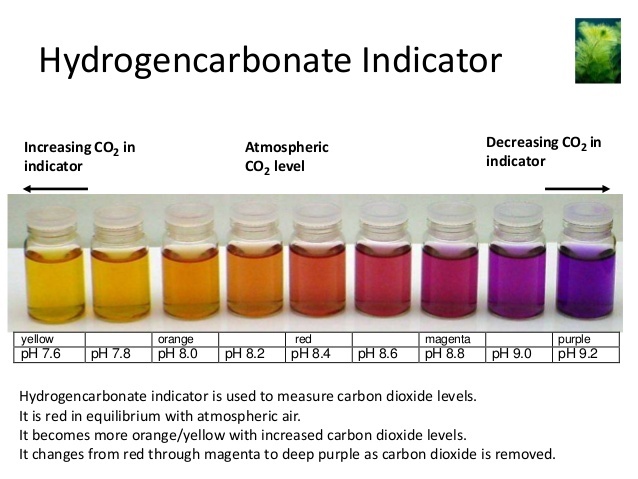 The experimenter could investigate the effect of changing the temperature, the pH or the concentration of glucose solution used. Make sure you understand how and why changing each of these factors might affect rates of respiration in yeast. There is a syllabus point in the iGCSE Respiration section that asks candidates to know about an experiment that demonstrates heat production in respiration. 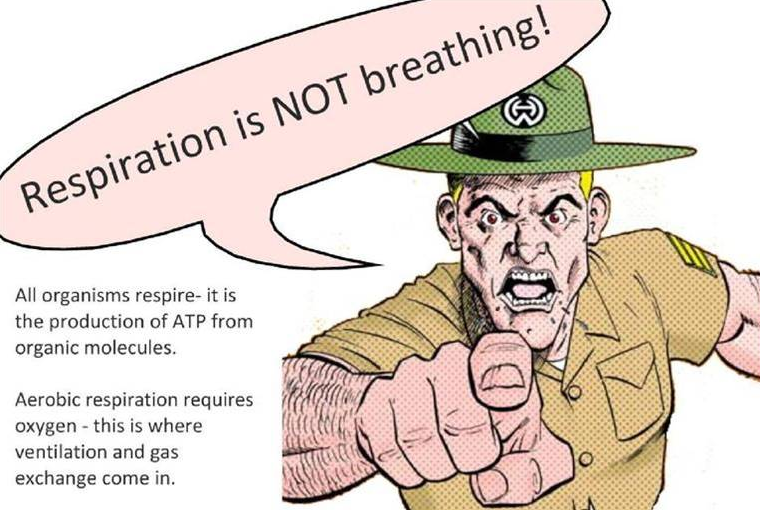 This must be one of the least interesting experiments ever devised but here goes…..
Respiration is the chemical process occurring in all cells in which food molecules are oxidised to release energy for the cell. 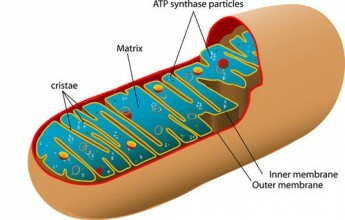 Cells need energy for a whole variety of things – active transport of molecules across the cell membrane, muscle contraction, movement of materials around the cytoplasm, cell division, many metabolic reactions etc. In fact, much of the energy released from glucose molecules in respiration is not “useful energy” for the cell but is given off as heat, a waste product. In warm-blooded animals such as humans, this heat energy is used to maintain our body temperature at around 37 degrees Celsius. How can you demonstrate heat production in respiration? The germinating seeds in the vacuum flask on the left are respiring because they are alive. The boiled seeds in the vacuum flask on the right will not be respiring because they are dead – boiling will denature all the enzymes needed for metabolism, The thermometer on the left will show a rise in temperature, the one on the right will stay the same. The flask on the right with the boiled seeds is a control. Vacuum flasks are used to insulate the seeds and so prevent heat loss. The experiment is as simple as that. If the examiners wanted to ask a question on this, I guess they would give you the set up, ask about the design of the experiment, ask about which variables you might control and perhaps what conclusions could be drawn.